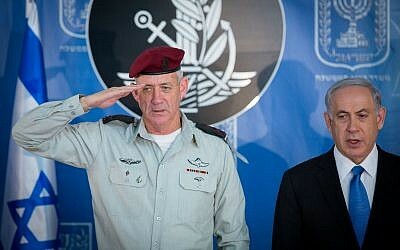 Three weeks before the April 9 election, Blue and White leader Benny Gantz on Tuesday gave his first sit-down interviews with Israel’s major television networks, dismissing concerns over his hacked phone and saying he won’t quit over the affair, which he insisted was overblown and politically motivated. 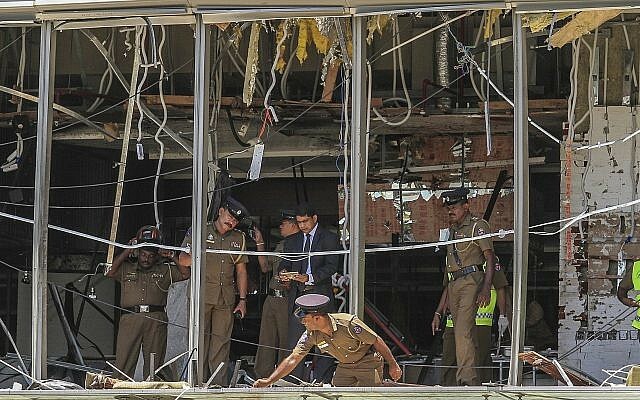 “This telephone issue is so marginal,” Gantz told Channel 12, referring to the hacking of his phone, allegedly by Iran, that was first reported by the station last week. Netanyahu’s ruling Likud party has tried to use the hack, which Gantz was informed about last year by Israeli security officials, to show he is unfit to lead the country. 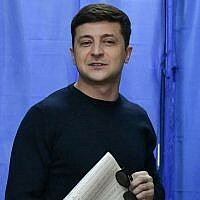 Gantz has charged that the leak of the breach to the media was politically motivated. “The Shin Bet told me six months ago that there was a certain problem; I dealt with it,” said the leader of the centrist party, stressing that no sensitive security intelligence or personally incriminating information was on the phone. He also said that his “wife supports me from here and until further notice,” seemingly referencing rumors that the phone had contained salacious material. 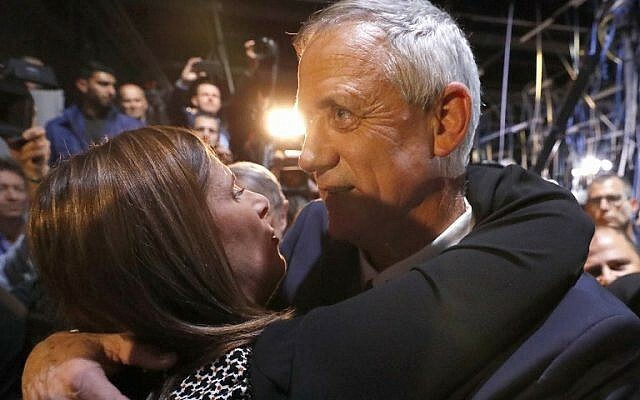 On Channel 13, where he was asked directly whether he would bow out of the election race because of the phone saga, Gantz replied: “There is no chance that I will take my eyes off the goal” of becoming prime minister. He said on Channel 13 that he had been told by the Shin Bet that the hack was the work of “hostile” forces and, in the same interview, mentioned the Iranians, but did not state explicitly that he knew or thought this was the case. Gantz accused unnamed political rivals of using “low” tactics in leaking the story of the hack to the press. 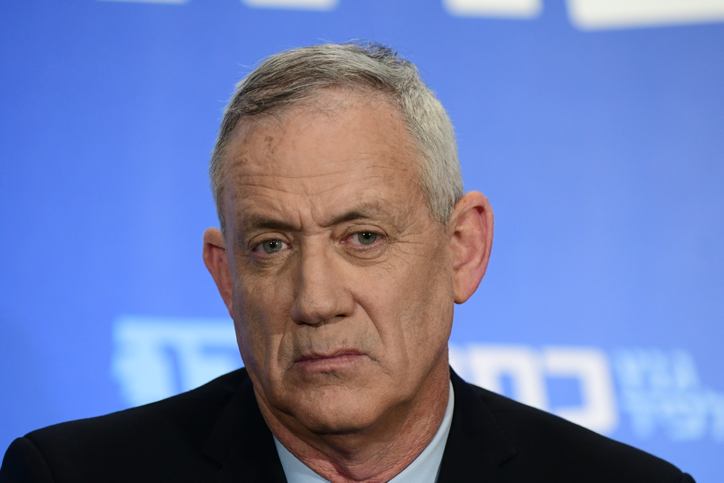 In response to the interviews, the Likud party, in a statement on Tuesday claimed Gantz would not be able to combat Iran — since the Islamic Republic has “sensitive” information about him. 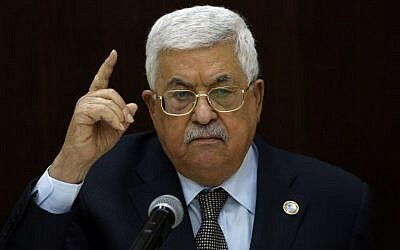 “A man about whom Israel’s No. 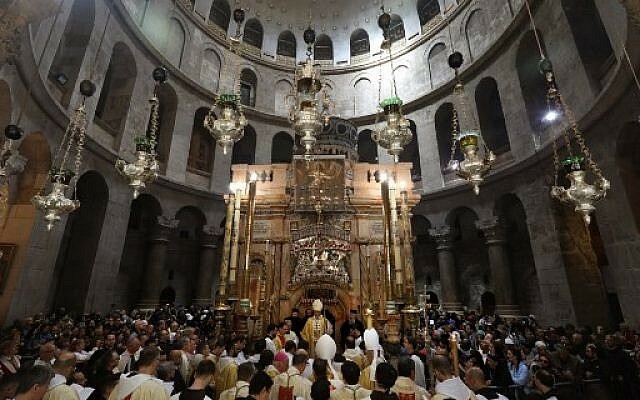 1 enemy — Iran — has sensitive information that he refuses to reveal to his political partners and Israeli citizens, cannot face the Iranian threat,” Netanyahu’s party said. In the media blitz, Gantz also refused to endorse a Palestinian state and said he won’t form a future government with Arab Israeli parties. “I am not ashamed to use the word ‘peace,’ it’s something we should aspire to,” Gantz told Channel 12. “It’s far away. 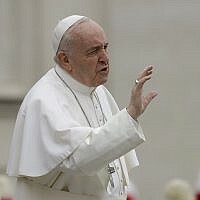 Unfortunately, there is no one to speak to,” he said, adding immediately that Israel must “strengthen the settlements” and boost security in the Jordan Valley. Gantz, who markets himself as a centrist, has been criticized for not clearly enunciating his views on the peace process. As in his party’s policy platform, Gantz demurred from endorsing a two-state solution during the interviews. 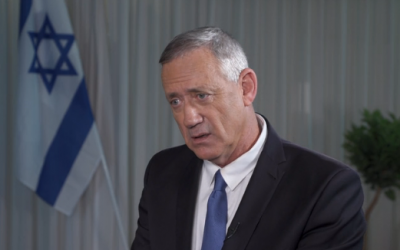 Asked by news anchor Yonit Levi if he envisions that a Palestinian state will someday be established, Gantz said only that Israel in the future will be a strong Jewish, democratic state, with a Jewish majority. 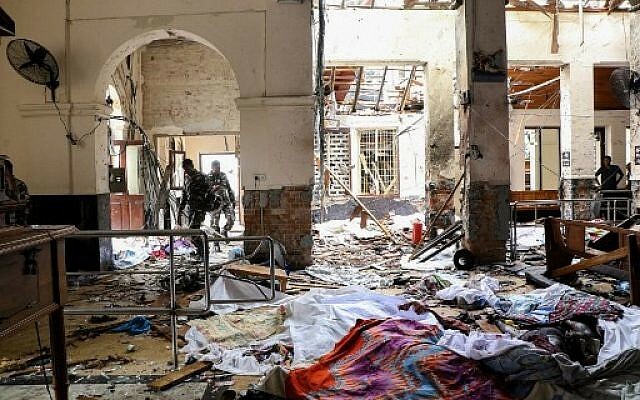 “What happens on the other side is a matter of negotiations and we’ll deal with it when we get there,” said Gantz, adding that his considerations on the matter will “purely” be guided by security interests. Speaking to Channel 12, he attempted to puncture the idea that Netanyahu was the only candidate who could uphold Israel’s security. 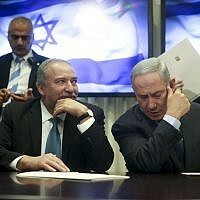 Gantz also definitively ruled out a future alliance with the Arab Israeli lawmakers in Knesset. Netanyahu’s Likud had suggested he would team up with Arab lawmakers in a future coalition in an attempt to discredit the Blue and White leader. He told Ynet he and his coalition partners would be large enough that they would be able to form a government without the support of Arab parties, and predicted to the Kan public broadcaster that his party would win 40 seats. Polls have not borne out that scenario, with the most recent surveys showing Blue and White slipping under 30 seats and behind Likud ahead of the April 9 election. A day after a recording surfaced of Gantz telling supporters behind closed doors that he hadn’t ruled out Netanyahu as a possible coalition partner, contradicting his public statements, Gantz was nearly unequivocal in ruling out forming a coalition with the Likud leader. Gantz said he would only team up with the Likud party if the charges against the prime minister are dropped after his pre-indictment hearing — a scenario he admitted was unlikely. “The only thing that can change the situation is that he comes out differently from the hearing,” Gantz told Channel 13. “Sadly, I don’t see that happening,” he added. However, Gantz signaled that he did not rule out Naftali Bennett and Ayelet Shaked’s New Right, the left-wing Meretz party, or the ultra-Orthodox as future coalition partners. 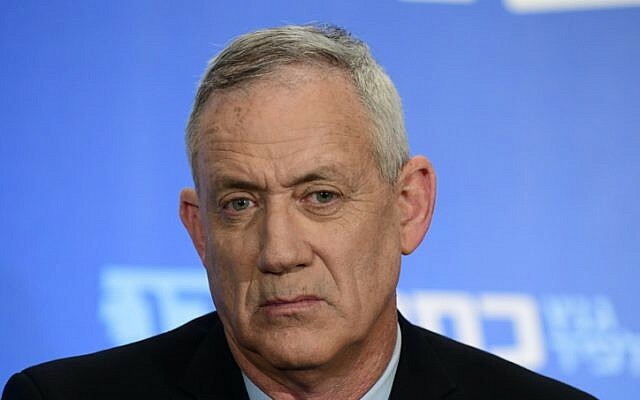 Gantz, who served as chief of staff of the Israel Defense Forces under Netanyahu from 2011 to 2015, told Channel 12 that the prime minister seemed to change over the last four years. Gantz said he was personally saddened by the looming charges against the prime minister. Netanyahu is set to face a pre-indictment hearing by July on charges of bribery, fraud, and breach of trust in three separate corruption cases.